This work is a comparative descriptive analysis of seventy English language headlines and their Arabic translations gathered from the national and international press and news agencies over the peroid of January 1, 2002 through August 1, 2002, a peroid that happened to include the months leading up to the second Iraq war. The headlines considered in this study are selected for their relevance to Middle East issues and for their importance. 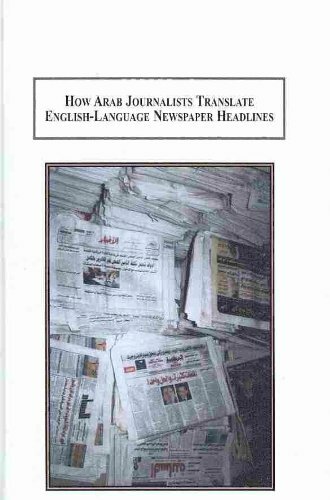 While headline translation has received some attention from scholars, there is little or nothing in the literature that deals specifically with the translation of English language headlines into Arabic. View More In Labor & Industrial Relations. If you have any questions about this product by Edwin Mellen Pr, contact us by completing and submitting the form below. If you are looking for a specif part number, please include it with your message.